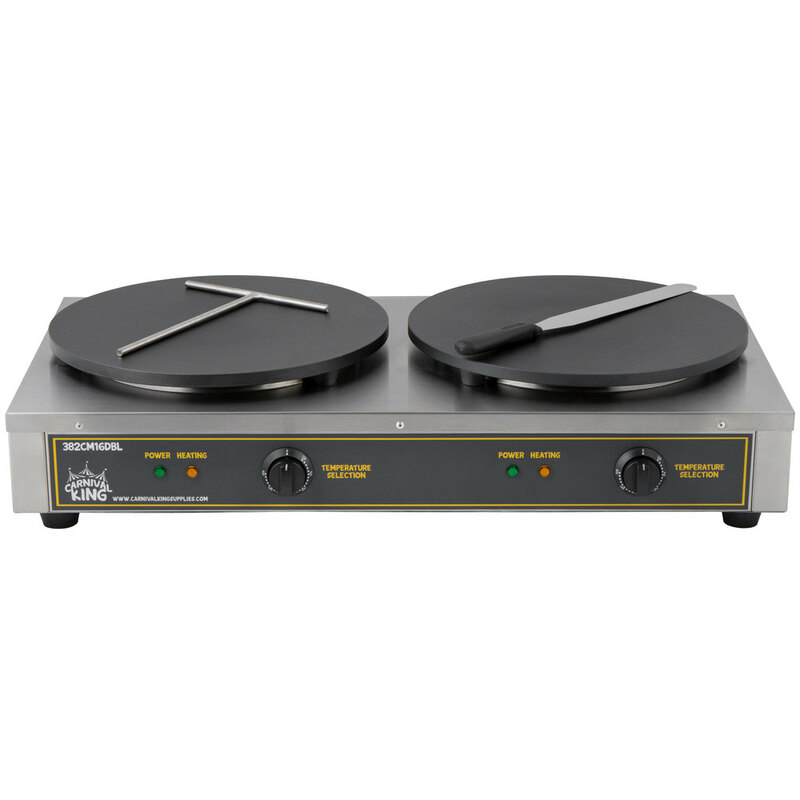 Serve up hot, freshly made crepes with the Carnival King CMPT16DBL 16" dual crepe maker! Designed for maximum space-efficiency, the double unit features (2) 16" non-stick cast iron cooktops in a single, rectangular base. It's perfect for busy, high volume creperies, breakfast buffets, or cafeteria crepe stations. Each cooktop is operated with an independent and adjustable thermostatic control. The controls adjust the temperature of each cooktop from 120 to 570 degrees Fahrenheit, while warming and ready lights help you monitor the unit's operation. For safety purposes, the unit features non-slip feet to grip to the countertop during use. Plus, to help you whip up crepes, a T-shape metal crepe spreader and spatula are included. This crepe maker requires a 208/240V electrical connection for operation.